Many of the key systems in the UK, both existing and planned are listed on our ‘BRT in the UK’ page which you can see here. The point of this page is to provide a little more information on many of those systems and several others. This page is a work in progress and will be added to over time. Please bare with us as we try and improve this website and the information we communicate to our members. Although not a BRT system, the FRC scheme includes several projects/initiatives costing over £1.4bn offering tangible benefit to bus operations north and south of the Forth. 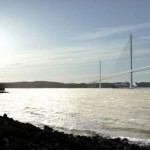 The new Queensferry Crossing is under construction and should be complete by 2016. Once delivered, the existing Fort h Road Bridge (FRB) will carry public transport, pedestrians and cyclists. In the future it could also be adapted to carry a Light Rapid Transit system. The FRB will be the largest sustainable transport bridge in the world and will deliver substantial benefits to users of public transport through increased capacity and more reliable journey times. During high winds, the FRB is often closed to high sided vehicles including buses. This, as you can image leads to delays and extended journeys. 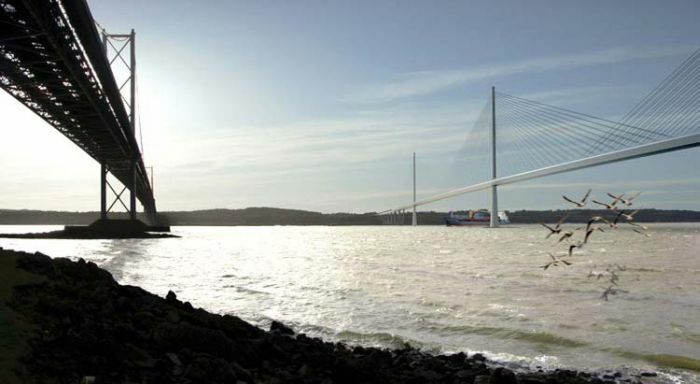 The Queensferry Crossing will feature Intelligent Transport System (ITS) managed bus lanes within the hard shoulder. If vehicles breakdown, requiring use of the hard shoulder the ITS system will instruct bus/coach drivers to join the general traffic lanes. The same technology will be applied to the M90 southbound in Fife and on the southbound M9 in the vicinity of M9 Junction 1A. These will operate on a 24-hour, 7-days-a-week basis.